Restaurant Cleaning | Ashford Cleaning Contractors Ltd. The look of your restaurant is all important. Along with the great food and excellent service, you want your establishment to be spotless. At Ashford Cleaning Contractors Limited we specialise in regular restaurant cleaning across the Ashford area. 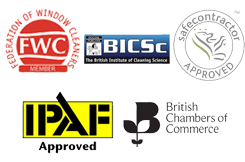 We understand the importance of ensuring that you always receive a high quality cleaning service, without fail, so at Ashford Cleaning Contractors Limited we build in a ?fool-proof? contingency plan to ensure that you receive this service every single day.